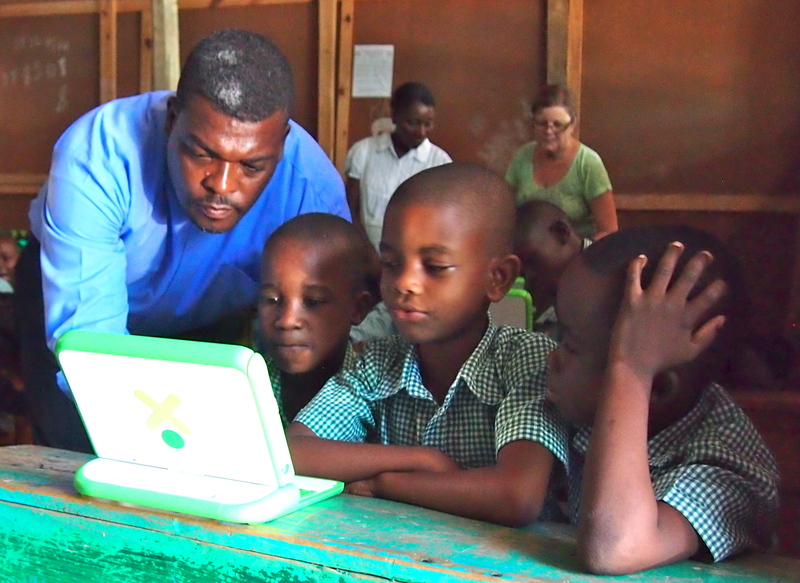 Computer learning at St. Andre’s is rapidly becoming a reality for the students thanks to the leadership and vision of Pere Noe Bernier. We presently have 20 Dell D810 laptops with the Linux Mint operating system available for teaching grades 6 to 13 during morning class time. 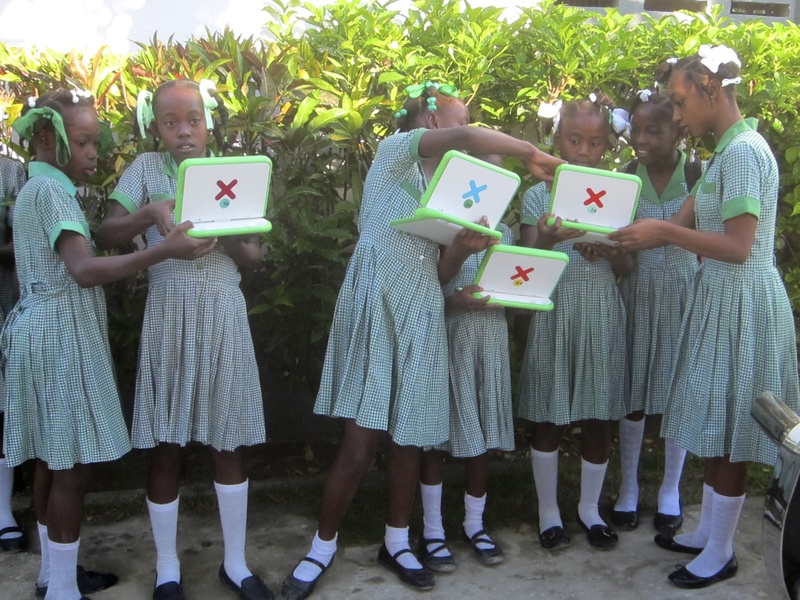 We also have 18 One Laptop Per Child (OLPC) XO 1.0 computers for the lower grades which are used during the afternoon. The classroom is designed for 50 computers and 50 students, and the electrical circuits and receptacles are in place to support the load. Our current goal is to create a classroom designated for computer learning for the students, staffed with knowledgeable instructors who will open a world of knowledge and opportunities through computer and internet fluency. Technology empowers both genders in learning.